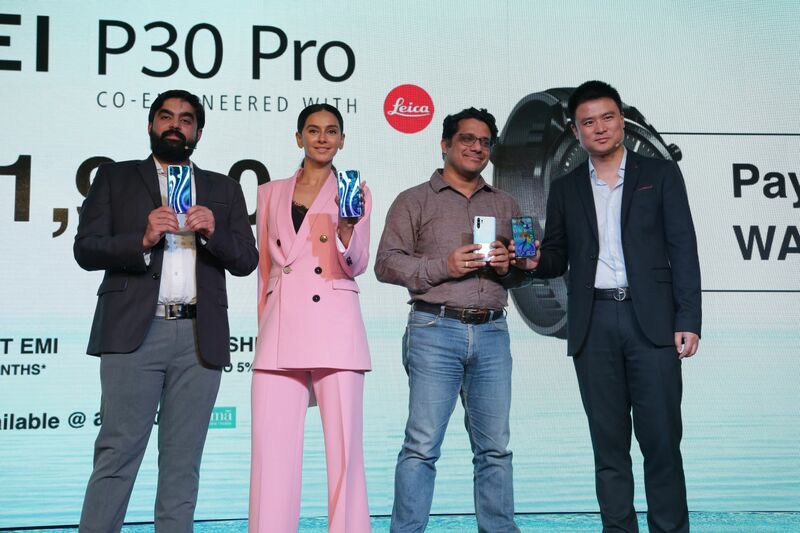 Huawei Consumer Business Group, India today announced the launch of the HUAWEI P30 Lite, a differentiated smartphone with state-of-the-art flagship photography features. Launched along with the HUAWEI P30 Pro, the smartphone retains HUAWEI P Series DNA in design and photography, and features one of the most advanced series of smartphone cameras, changing the way people perceive mobile photography once and for all. The P30 Lite comes with three cameras on the back, a 24-megapixel wide-angle lens, F/1.8 aperture with Triple AI with Wide Angle (120 degree) amalgamated with scenic recognition, an 8-megapixel ultra-wide lens, F/2.4 aperture, and a 2-megapixel depth-sensing lens. Additonally, a truly remarkable feature is the powerful 32MP, F/2.0 aperture front camera allowing high quality images in any scenario. The rear camera comes with Wide angle lens, Night, Portrait, Pro, Slow-mo, Panorama, Light painting, HDR, Time-Lapse, 3D Panorama, Stickers, Documents, Ultra snapshot, Capture smiles, Audio control, Timer amongst other features. While the front camera has features such as Portrait, Panorama, AR lens, Time-Lapse, Filter, 3D Panorama, Stickers, Capture smiles, Mirror reflection, Audio control and timer. Mr. Tornado Pan, Country Manager (Huawei Brand), Consumer Business Group, Huawei India said, “The launch of the HUAWEI P30 Lite is a testament to our commitment of delivering the best in class experience to our consumers in India. This device breaks the rules of mobile imaging technology by integrating AI powered front and a triple rear camera with a host of best-in-class flagship features. The P30 Lite’s 6.15-inch LCD screen has a FHD 2312 x 1080 pixel resolution, plus a teardrop notch at the top. It has slim bezel, a screen-to-body ratio of 90 percent and weighs 159 g. On the back of the phone is a fingerprint sensor. The phone comes with a powerful Kirin 710 processor and will have two size varinats 4 GB RAM + 128 GB ROM and ^ GB RAM + 64 GB ROM, expandable upto 512GB, It runs on Android 9.0 and Huawei’s own EMUI 9.0.1 interface over the top. Additionally, the device sports a 3,340mAh battery which can get you through an intense action-packed day at work.